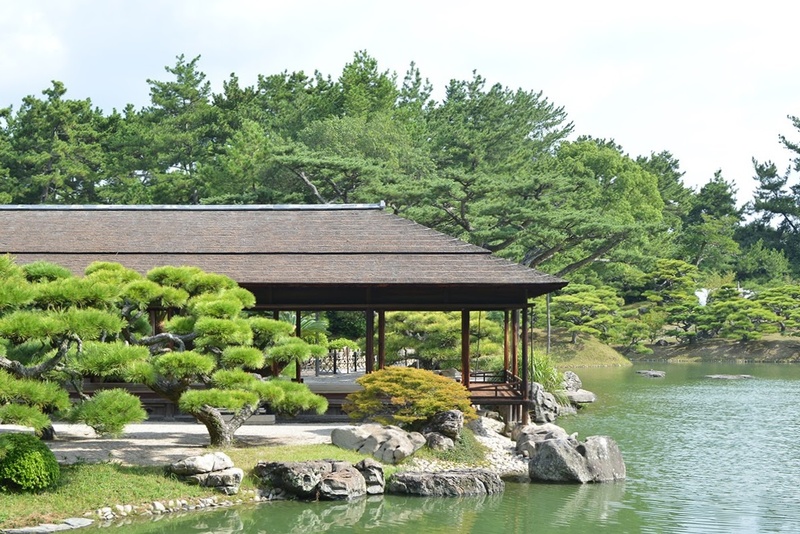 One building that acts a prime focus in the garden is the Moon Pavilion, a large tea room that was loved by the successive lords of the domain. 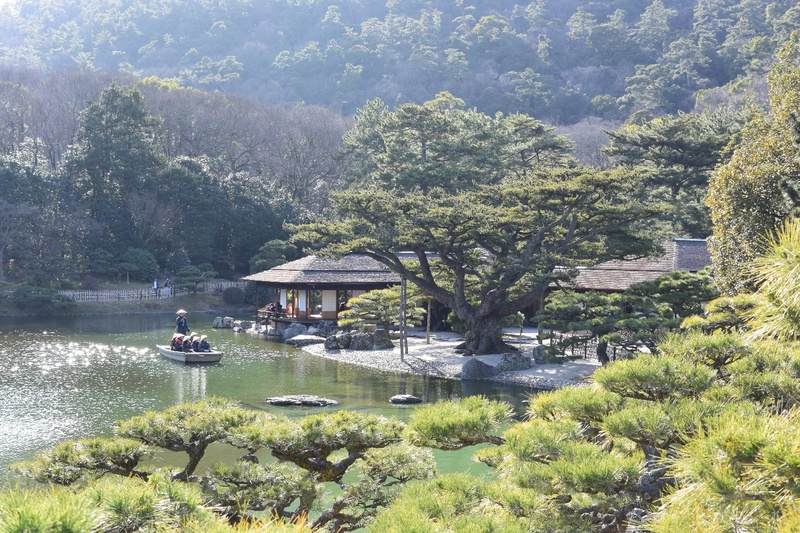 Even today, visitors can enjoy the scenery that the feudal rulers of the past would have gazed upon, as they savor the taste of green matcha tea and traditional Japanese confectionaries. Hiraiho Hill is an artificial hill, said to have been built modelled on Mt. Fuji. It looks down over Nanko (the South Pond) with the Moon Pavilion to its rear and the Engetsukyo bridge (Crescent Moon Bridge) to the front, making it the best and most stunning viewpoint in the entire garden. Visitors who ride on the traditional Japanese boats that circle around Nanko can enjoy listening to the explanations from the boatman as they ride around the lake. Various parts of the garden are illuminated during the spring cherry blossom season, when the flowers around the garden are at their very best, and during fall, when the trees are adorned in an array of splendid and bewitching colors. Many people visit the garden to catch a glimpse of the fantastic scenery during these seasons. Please try visiting the garden for yourself, and find your own favorite spot from their diverse range of landscapes, which are forever changing with the time and the seasons.